I'm just finishing my first week at the MTC (missionary training center) and so far it's definitely been an adventure. 3 people in my district got their visas about 2 days after we arrived, and they'll be shipping out to the MTC in Brazil on the 29th. If mine shows up somewhere in between now and then, i'll also be going then, but otherwise I'll be in Provo until the end of my 6 weeks of training. About an hour after I got dropped off and ate lunch we went straight into Portuguese class, and have been doing that for about 10 hours a day since. Portuguese pretends to be like Italian, which I took 3 years of, so it seemed like it would be easy to pick up and go with, but there's definitely been a learning curve. The first couple of days were actually really frustrating because we've had to teach 3 lessons to an investigator since we've arrived in just portuguese, and I know that i'd know the word in italian but not in portuguese. It also didn't help that just about everyone I've met here has been going to Italy. honestly, i felt homesick for italian, which is a weird thing to think about because it's not even my first language. Monday i pretty much got around the learning curve though so things are going full speed now. My companion, Elder Meldrum, is from Lancaster, PA so he lives about 30 minutes from where i was in PA. 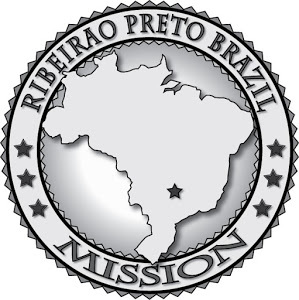 I thought that was kind of funny, especially since we're both going to Ribeirao Preto as well. My district has 3 sets of elders and 1 set of sisters, and we all get along pretty well considering we're from as diverse places as oregon, utah, PA, wyoming, New York, and Colorado. We're also kind of a last minute district because the only reason any of us are here is because we didn't have our visas on time. The rest of our zone (also portuguese speaking) is going to either Brazil, which means we speak the same portuguese, or they're going to Cape Verde, Mozambique, or Portugal which means the portuguese is a bit different but really screwy when you're trying to understand them. Otherwise the MTC is pretty fun. I'm kind of amazed at the lack of supervision we have here. It's kind of a free for all except for our usual 3-4 hours of instruction and then our occasional 30 minute teaching session. It's pretty much up to us to make sure we're on track with where we need to be and what we need to be doing, which is super cool. That also means your experience here is what you make it. You can have fun or kind of waste away wishing you were at home or in Brazil or something. We typically have fun, and people get really creative with their resources in the residence halls (we're not allowed to call them dorms...). This week someone made the decision for the whole floor that it would be better to sacrifice a sink for 3 days for some glow in the dark grow in water animals. There was also a tie draft, a queso festo (which sounds way cooler in portuguese), i think a nerf war, i saw some military drills going on, and a bunch of other stuff you wouldn't think to do with things you got in the mail. Sunday we had a devotional and Lloyd Newell (Music and the spoken word narrator) came and gave a talk. He's the guy who says the whole "This has been the 180th general conference..." thing at the beginning and end of general conference. He's the Morgan Freeman for Mormons. It was a pretty good talk and was the usual missionary motivator kind of thing, but after that we watched a talk that David A. Bednar gave at the MTC a while ago called "Character of Christ." Everyone we talked to said it was life changing and the one to see, so we did and it was super enlightening. Basically it talked about how we need to turn outward when we would usually turn inward, and how we won't become better by thinking about how we will better ourselves, but by losing ourselves in helping others. yea. If i had to sum up the hour long talk in a sentence that's probably how i'd do it. My emails will probably get more interesting and better written as time goes on so bare with me. P-Days are tuesday and my mail address is the provo MTC mail box 300.